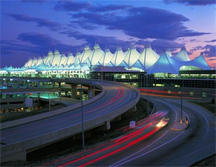 What is New in the Party Limo Service in Denver CO? Denver Broncos was formed in 1960 . This NFL team went through ups and downs in the history . Denver Broncos is famous due to lots of its favourite players and legends like , John Elway , Steve Atwater , Shanon Sharp and Terrel Davis . Denver Broncos has millions of fans not only in Denver ,but all over United States . All Broncos fans love its orange and blue color . Denver Broncos changed its logo in 1997 from ” D” to ” Denver” . DENVER LIMOUSINE is serving Denver Broncos fans for last 15 years by taking them to and from Sports Authority Field ( Broncos Stadium ). Currently Denver Broncos is considered as most favourite team to win Super Bowl 2013 . Beoncos Head Coach John Fox has said that ” This year is Super Bowl or bust” . DENVER LIMOUSINE SERVICE will be more than happy this year to serve Broncos fans to take them to Stadium and bring them back as usual . Go Broncos Go.